Allograft tissue is used in 22% to 42% of anterior cruciate ligament (ACL) reconstructions. Clinical outcomes have been inconsistent with allograft tissue, with some series reporting no differences in outcomes and others reporting increased risk of failure. There are numerous variations in processing and preparation that may influence the eventual performance of allograft tissue in ACL reconstruction. We sought to perform a systematic review to summarize the factors that affect the biomechanical properties of allograft tissue for use in ACL reconstruction. Many factors might impact the biomechanical properties of allograft tissue, and these should be understood when considering using allograft tissue or when reporting outcomes from allograft reconstruction. 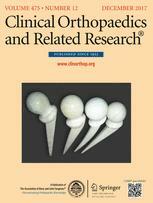 What factors affect the biomechanical properties of allograft tissue used for ACL reconstruction? We performed a systematic review to identify studies on factors that influence the biomechanical properties of allograft tissue through PubMed and SCOPUS databases. We included cadaveric and animal studies that reported on results of biomechanical testing, whereas studies on fixation, histologic evaluation, and clinical outcomes were excluded. 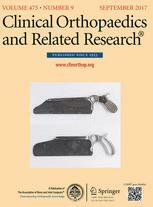 There were 319 unique publications identified through the search with 48 identified as relevant to answering the study question. For each study, we recorded the type of tissue tested, parameters investigated, and the effects on biomechanical behavior, including load to failure and stiffness. Primary factors identified to influence allograft tissue properties were graft tissue type, sterilization methods (irradiation and chemical processing), graft preparation, donor parameters, and biologic adjuncts. Load to failure and graft stiffness varied across different tissue types, with nonlooped tibialis grafts exhibiting the lowest values. Studies on low-dose irradiation showed variable effects, whereas high-dose irradiation consistently produced decreased load to failure and stiffness values. Various chemical sterilization measures were also associated with negative effects on biomechanical properties. Prolonged freezing decreased load to failure, ultimate stress, and ultimate strain. Up to eight freeze-thaw cycles did not lead to differences in biomechanical properties of cadaveric grafts. Regional differences were noted in patellar tendon grafts, with the central third showing the highest load to failure and stiffness. Graft diameter strongly contributed to load-to-failure measurements. 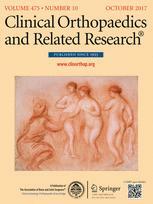 Age older than 40 years, and especially older than 65 years, negatively impacted biomechanical properties, whereas gender had minimal effect on the properties of allograft tissue. Biologic adjuncts show potential for improving in vivo properties of allograft tissue. Future clinical studies on allograft ACL reconstruction should investigate in vivo graft performance with standardized allograft processing and preparation methods that limit the negative effects on the biomechanical properties of tissue. Additionally, biologic adjuncts may improve the biomechanical properties of allograft tissue, although future preclinical and clinical studies are necessary to clarify the role of these treatments. 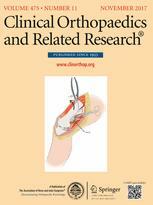 Based on the findings of this systematic review that emphasize biomechanical properties of ACL allografts, surgeons should favor the use of central third patellar tendon or looped soft tissue grafts, maximize graft cross-sectional area, and favor grafts from donors younger than 40 years of age while avoiding grafts subjected to radiation doses > 20 kGy, chemical processing, or greater than eight freeze-thaw cycles.